WARNING. I am about to dispense fashion tips. please note: I have no sense of fashion. That’s a key reason I got married. my mother couldn’t dress me forever, and I needed someone to take me shopping periodically and prevent me from spending money on something that would ultimately end up On AWKWARD FAMILY PHOTOS. Shakespeare reflecting on the need for men to wear blue jeans and get rid of the hose. 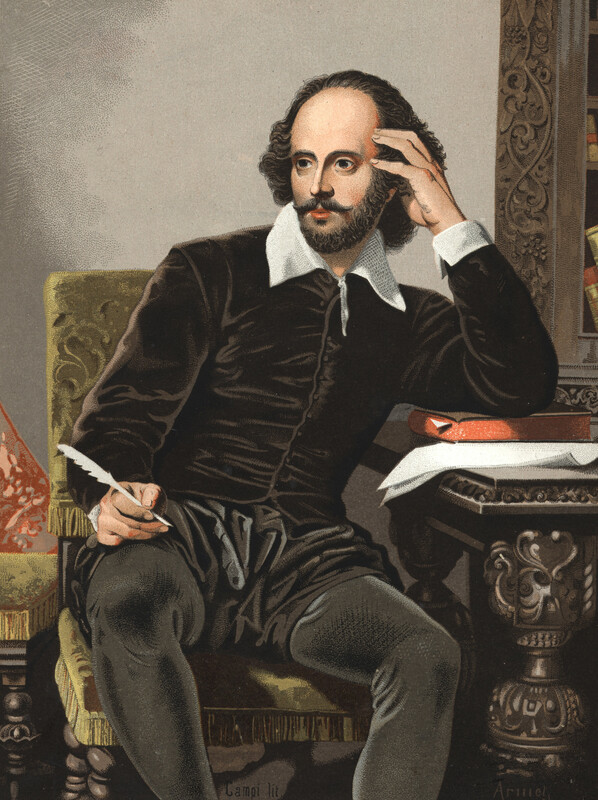 That cliché has been around since the popularity of hose for men in Shakespeare’s day—although he said it with more class. We’re told not to judge a book by its cover, but it’s easy for us to make assumptions about people by the way they’re dressed. But what we wear should say something about us. In Colossians 3, Paul used a clothing metaphor to tell us to take off the old person with its old practices, and to “put on the new self, which is being renewed in knowledge in the image of its Creator” (Col. 3:10). Unfortunately, a lot of people call themselves Christians, but they go through their lives wearing “the old clothes” of a life without Christ. That’s like the guy who insists on going out in public in his Def Leppard T-shirt from their 1987 World Tour … complete with holes and baked-in stains. Sure, it may feel comfortable to him, but it embarrasses his family. Christ has a dress code for his followers. It’s called character. “Therefore, as God’s chosen people, holy and dearly loved, clothe yourselves with compassion, kindness, humility, gentleness and patience” (Col. 3:12). Jogger pants and hipster sweatshirts will eventually join bomber jackets and jelly shoes in the thrift store of forgotten fashion, but Christlike character will always be in style. And it will always look good on you. Encourage others by sharing this post. Previous Previous post: How Far Are You Willing to Go?